AE Interest: One of the most energy efficient and environmentally friendly places to work in the United States [a]. First federal building to receive LEED Platinum rating [b]. 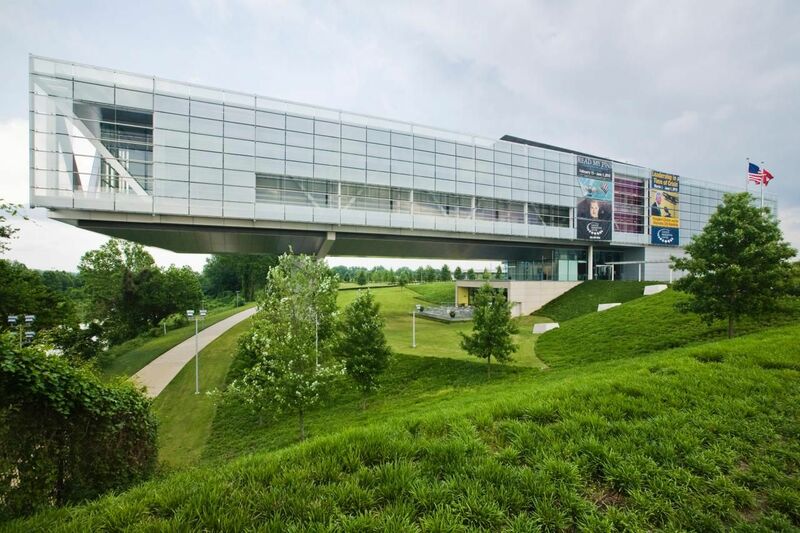 To achieve such rating, the Clinton Presidential Library includes features such as an integrated pest management program, waste stream management and an ongoing indoor environmental quality (IEQ) [c]. AE Interest: The office space and retail space are LEED Platinum, the residential space is LEED Gold [a]. 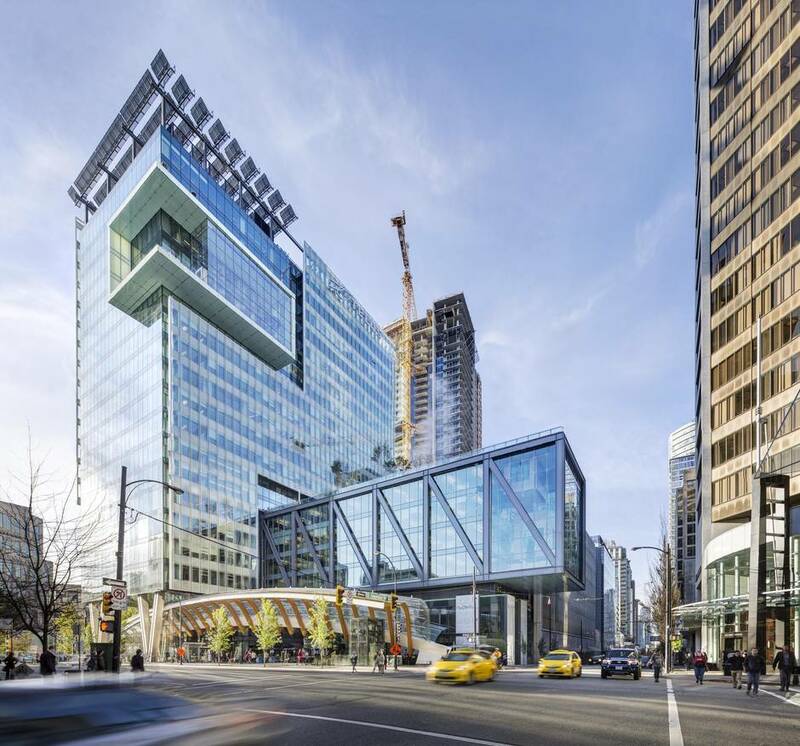 It is Vancouver’s first LEED Platinum certified office tower and has the highest LEED score card ever submitted to the Canada Green Building Council [b]. 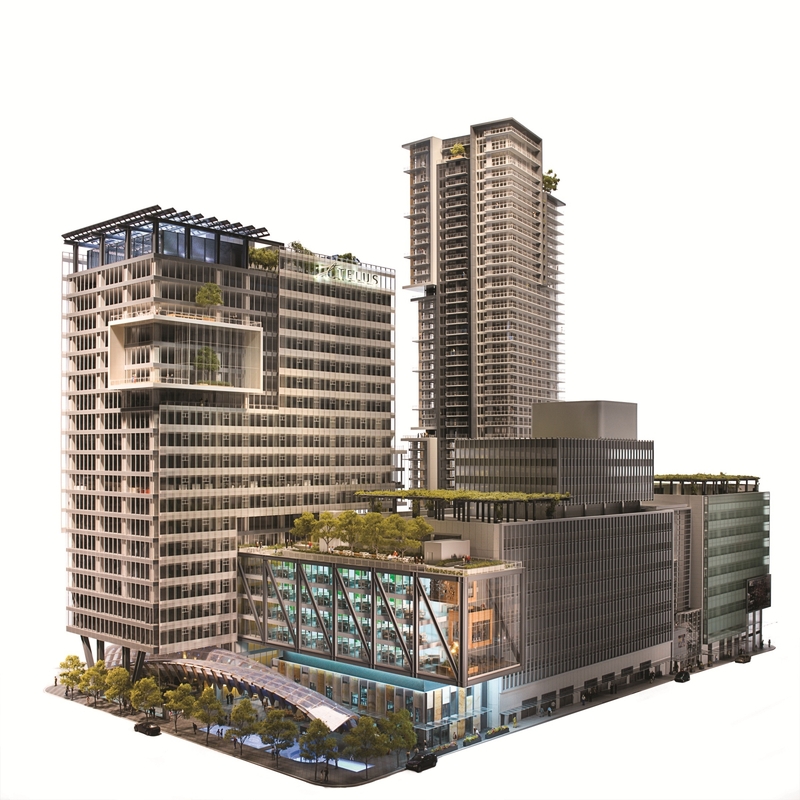 It includes features such as a District Energy System (DES), which recycles heat from existing buildings and uses it to heat office and residential towers. Additionally it has the largest solar panel system in Vancouver and uses the power harnessed to power the exterior lighting [c].